This was a 500 piece puzzle that had a special holographic, shiny background. It was very large, measureing 36.4 x 51.5cm (14.3 x 20.3in.) In addition to the puzzle, there was a special promotional Gatchaman (No. 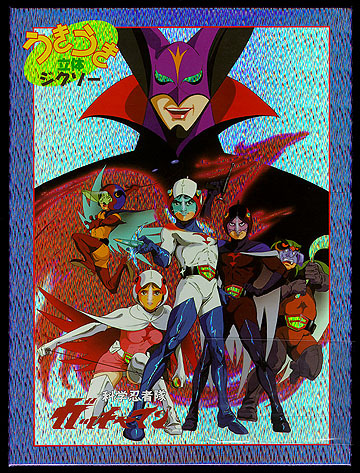 000) Tatsunoko World '96 trading card included. Buying this puzzle was the only way to obtain this card.